"Van Halen" is the debut studio album by band Van Halen. Released on February 10, 1978, and spent 169 weeks on the charts, reaching #19 on the U.S. charts (03/11/78) and #34 on the U.K. charts (05/27/78). It was certified gold on 05/24/78, platinum on 10/10/78, platinum five times over on 10/22/84, platinum six times over on 02/01/89, seven times platinum on 09/29/93, platinum eight times over on 07/11/94, and ten times platinum on 08/07/96. It was certified diamond on 03/16/99. 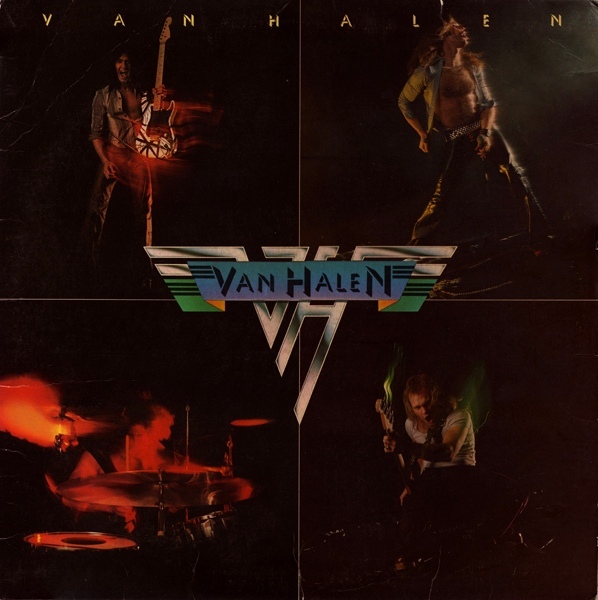 "Van Halen" album contains many of Van Halen's signature songs, including "Runnin' With The Devil", the guitar solo "Eruption", the The Kinks cover "You Really Got Me", "Ain't Talkin' 'Bout Love", "Jamie's Cryin'", and the cover version of John Brim's "Ice Cream Man".